Licensed in NY and NJ for treatment of Ants, Bees, Spiders, Silverfish, Termites, Bed Bugs, Mice, Rats, Wasps, Yellow Jackets, Hornets, Millipedes, Crickets, Cockroaches, Nuisance Wildlife Humane Trapping and Exclusion, Ticks, Mosquitos, Flies, and all other insect pests. We are a 3rd generation family owned business, who offers alternative pest solutions. All of our technicians are licensed and certified. Laura has been extremely helpful! She clearly answers all of my questions and she is very detail oriented! We have used Pest Shiel for may yeara now and really like and appreciate what they do for us. Very thorough and attentive to any issues we've had. Always very friendly too. Fast Response time! Friendly. Reasonable and got the job done! Highly recommended! We had Joe at our house who was very thorough, knowledgeable and personable. I would like a copy of my contract. I only have a receipt that it’s paid. I’d like to see the terms of the contract and what I’m paying for. Thank you. On time appointments. Responsed promptly to inquiries and questions. We started using Pest Shield a few years ago and we couldn't be any happier! Great staff! We are very happy with your keeping our home free of insects etc. Great service so far. We've signed the contract and made a down payment. Friendly and knowledgeable team. They always do a very thorough monthly maintenance check. we have been using them for years. very attentive and professional. Very happy with service so far. I have been using Pest Shield for several years and have always had a good experience. Very professional, reliable and friendly service! Pest Shield is always there when I need them! They have prompt and effective service. Highly recommended! Great company! Have used them for almost 20 years to protect and treat our home. Very responsive and nice to deal with! Wonderful staff and exceptional service! 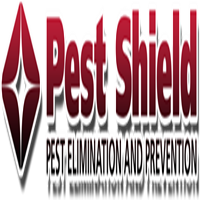 Pest Shield provides fast and attentive service. Bugs are something that we don’t want in our house (who does??). Pest Shield keeps our house clear of the extra tenants who are not welcome. Thanks Pest Shield!!! So far so good. Hopefully, termite baits will work. Thank you for your service. Pest Shield has always (for nearly ten years now) been considerate and responsive, and most importantly, effective. Only been a week but so far so good! Pest Shield is always on time and gets the job done! Quick response. Thorough inspection. Took time to explain. Efficient, courteous n trustworthy people work here! The technicians are professional and courteous. Service is prompt and courteous. Laura is always available for expert advice and assistance. I have not had an ant problem since Pest Shield has started servicing my property. I highly recommend them. They have been doing a great job at our home for many years.